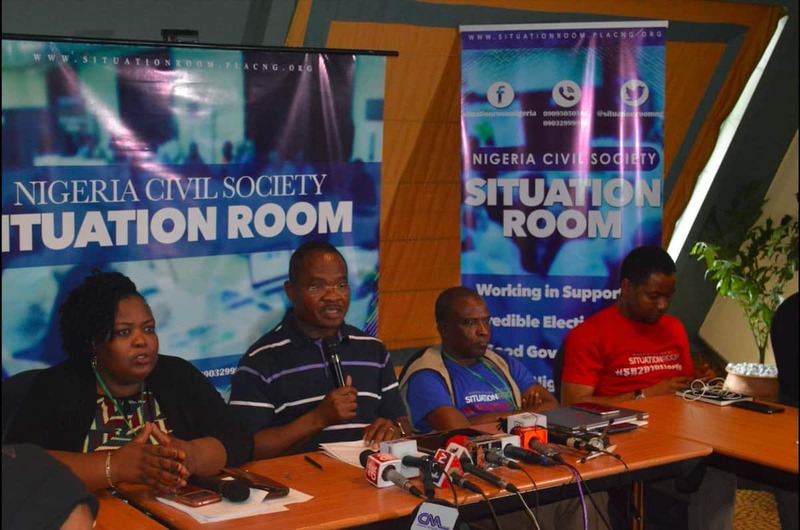 The Nigeria Civil Society Situation Room (CSSR) on Sunday, March 24, urged the Independent National Electoral Commission (INEC) to put an end to supplementary elections in Nigeria. The News Agency of Nigeria (NAN) reports that Clement Nwankwo, the convener of the coalition of 70 civil society groups, said this at a press conference in Abuja on the observation of the elections. According to Nwankwo, it appears that the rerun process was now a manipulation tool to circumvent the will of the electorate. Nwankwo said that the group deployed observers for the supplementary governorship elections in Bauchi, Benue, Kano, Plateau and Sokoto states and noticed some ills. He noted that some flaws observed were recurrent in Nigeria’s elections and as a country they ought to be condemned. Some of the flaws, he said, included voters intimidation and insecurity that resulted in shooting of a returning officer in Benue. “The widespread incidents of violence, thuggery and abuse of the electoral process, especially as reported in Gama ward of Kano must be addressed by INEC. “Situation Room believes that the level of abuse recorded in Gama ward is of such monumental proportions as to necessitate INEC expunging the outcome of the supposed voting results from the final collation. “Safety of election day workers, INEC and ad hoc staff, observers is not guaranteed and portends great danger for future elections in Nigeria. “Actions of political parties and their supporters continue to undermine the confidence in our electoral process as well as the rights of citizens to participate fully in election and cast their votes without fear,” he said. Nwankwo specifically complained about the incidences of violence as recorded in some local government areas in Bauchi, Kano and Benue where thugs threw stones at voters. He said that some reports received showed instances of over-deployment of security personnel such as in Plateau. He said that the group was shocked by the situation in Kano where the deployment of senior police officers could not stem the incidents of political thuggery and intimidation. Nwankwo said that reports showed that instances where security personnel, most especially the police and civil defence, with challenging situations were met with inaction. He said the organisation was concerned that abuses of electoral process occurred in spite of the deployment of top-level police officials, including a Deputy Inspector-General (DIG) and three Assistant Inspectors General (AIGs) and commissioners. Nwankwo lamented that the situation was even better in Kano during the general elections when a state commissioner of police took charge. He said that there were reports of widespread vote buying in Kano and Bauchi states and underaged voting was also recorded in Plateau and Sokoto states. Legit.ng earlier reported that the presidential candidate of the Peoples Democratic Party (PDP), Alhaji Atiku Abubakar, congratulated the Aminu Tambuwal, winner of the governorship election in Sokoto state.